Vote For Your Favorite Rhino! Watch out for a stampede of rhinos! 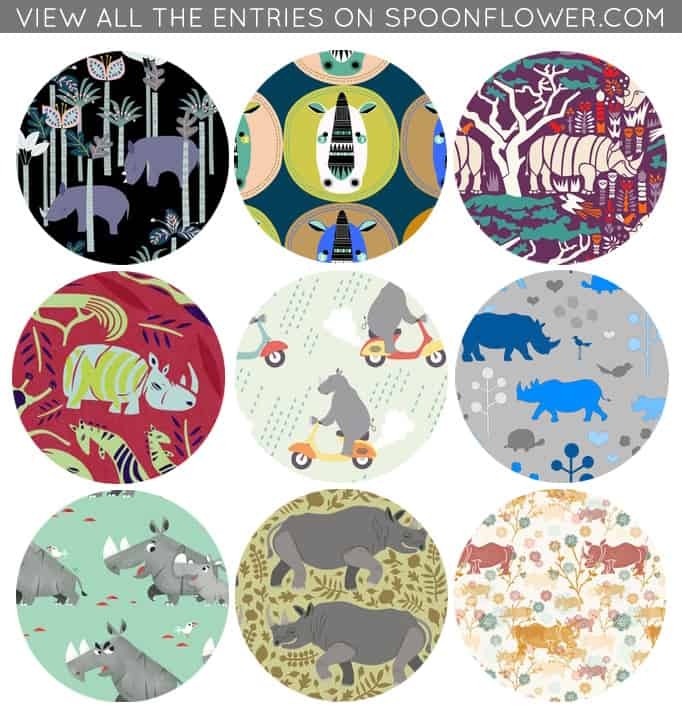 Whether you like your rhinos dainty or hefty, in a field of flowers or riding a bike, Spoonflower designers have got you covered. Help choose next week’s top 10 designs. 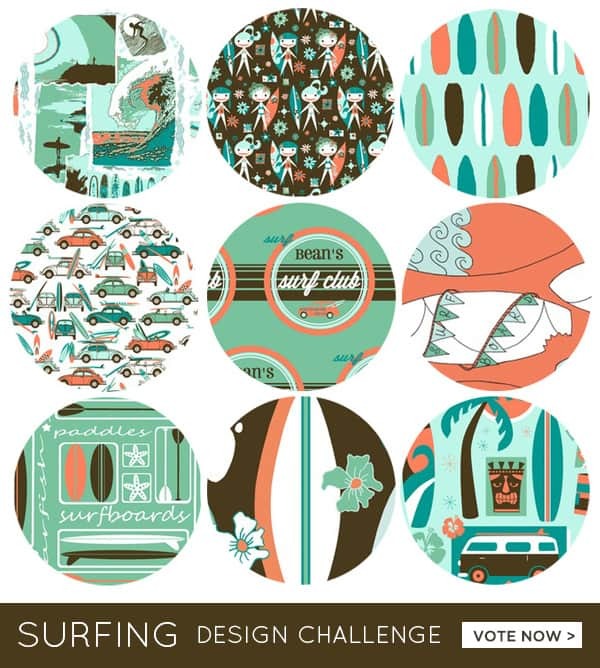 Spoonflower designers have submitted some rad retro surfing designs that will get you itchin’ for the beach. Choose your favorites now, and then we’ll tally the votes and announce the top ten finalists in next week’s newsletter. Who will take home the blue ribbon prize? 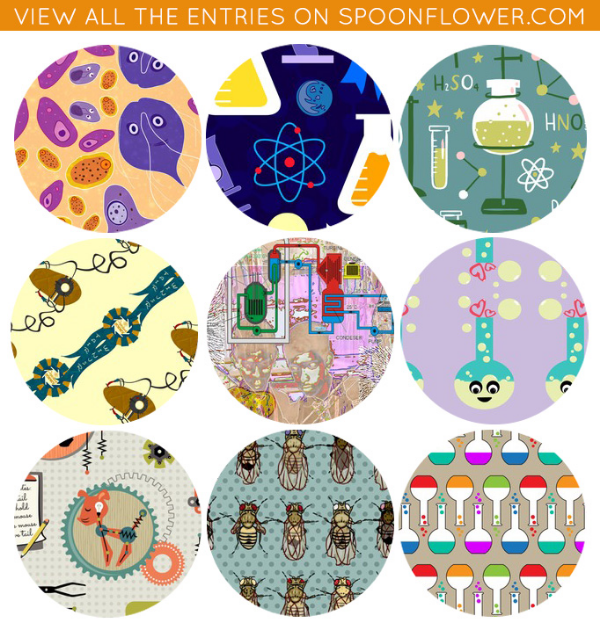 Vote for your favorite entry in the Science Fair Design Challenge. 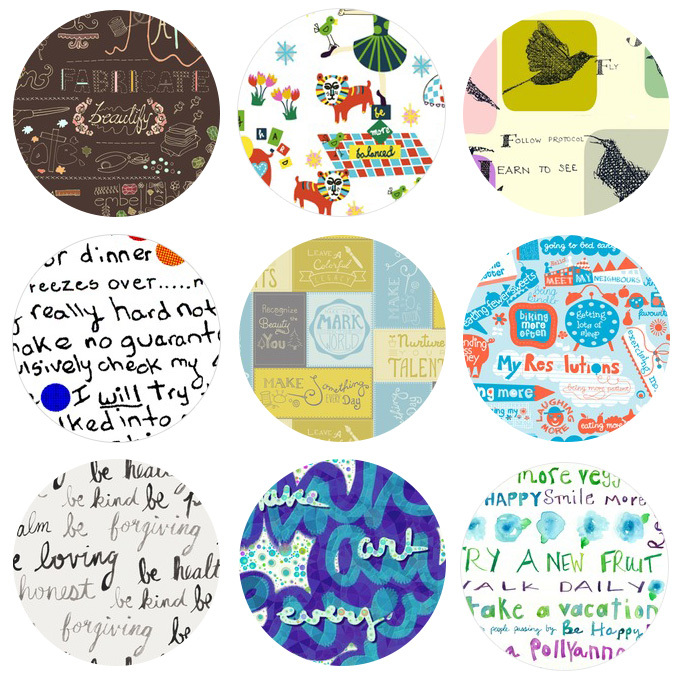 This week we asked designers to share their hopes and intentions for the new year. You’ll love browsing these funny and thoughtful designs. A Crime Of Passion Has Occurred, Can You Sniff Out The Killer Design? 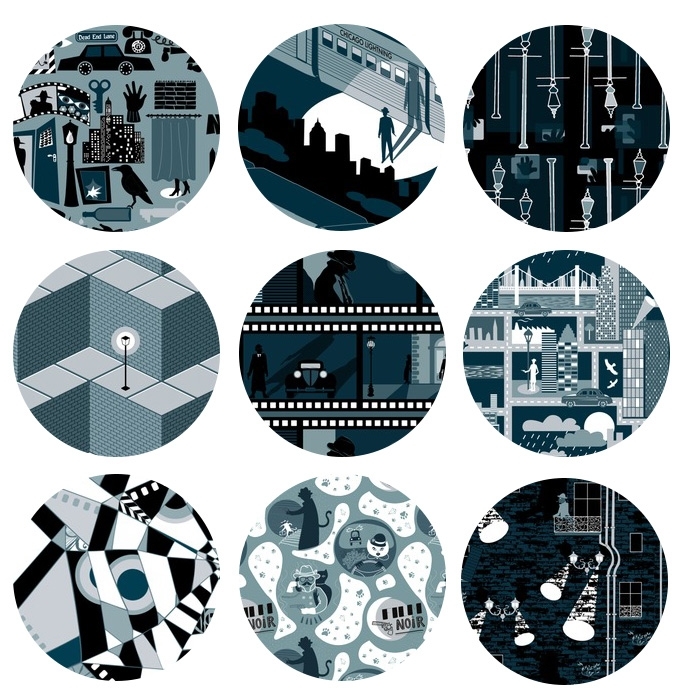 They’re waiting for you to pick the top designs in our Film Noir Design Challenge. 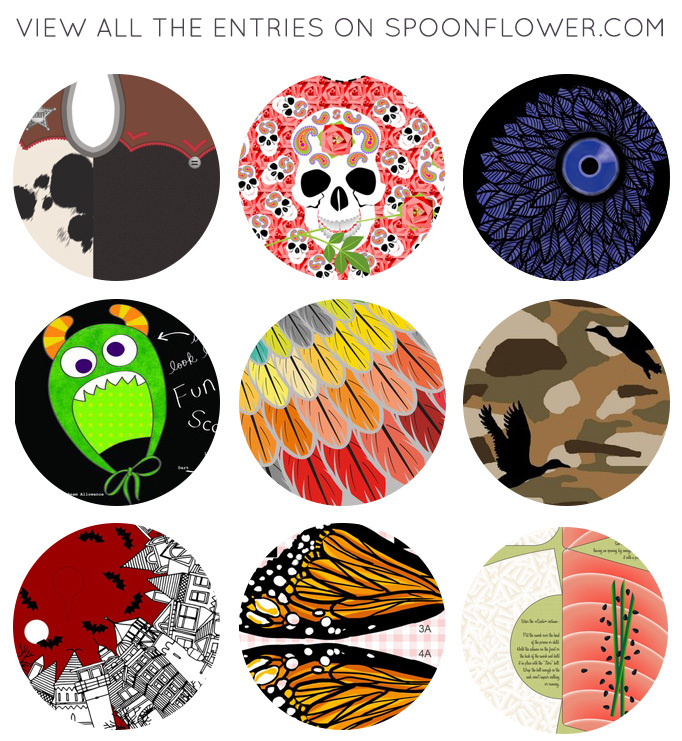 Halloween is a big deal at Spoonflower HQ. With so many crafty people under one roof, all we can talk about is what we’re going to be and how we’re going to make our costume. 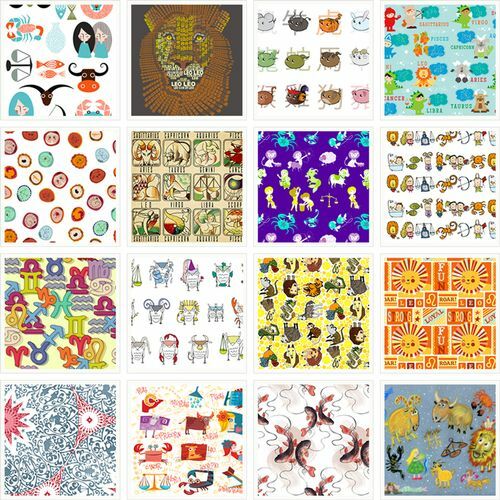 So you can imagine that the office is quite abuzz over the awesome designs in this week’s Design Challenge. Here in North Carolina the sun is setting earlier and earlier and the nights are getting long. We haven’t quite reached the frosty temperatures of winter yet, and so it’s a perfect time to stretch out on a blanket in the yard and look at the stars. 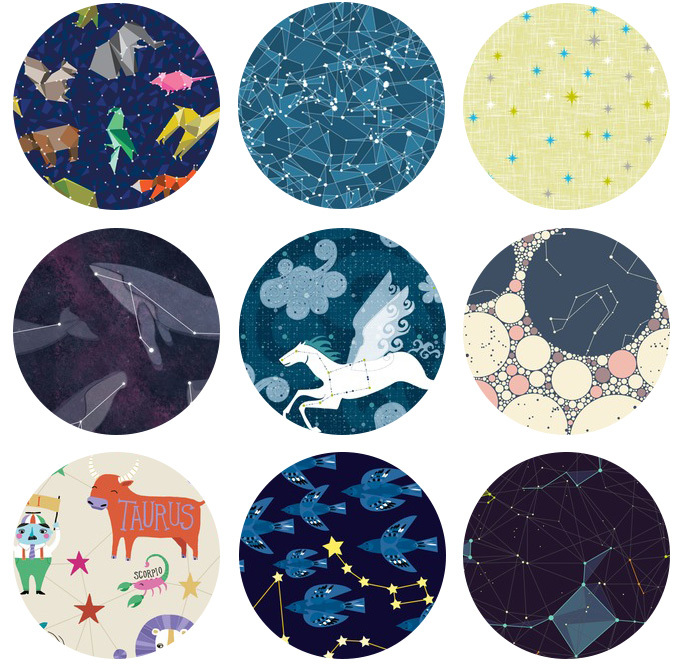 This week, designers created patterns inspired by the mighty constellations. 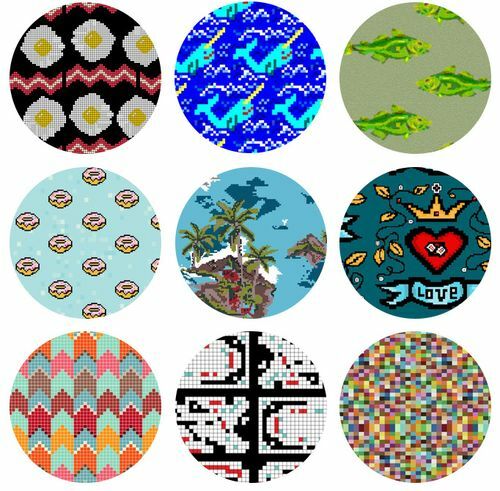 Pick your favorite far-out pattern! Vote in the 8-Bit Fit Challenge! This week we’re partnering with Betabrand for a very special contest: The 8-Bit Fit Challenge! 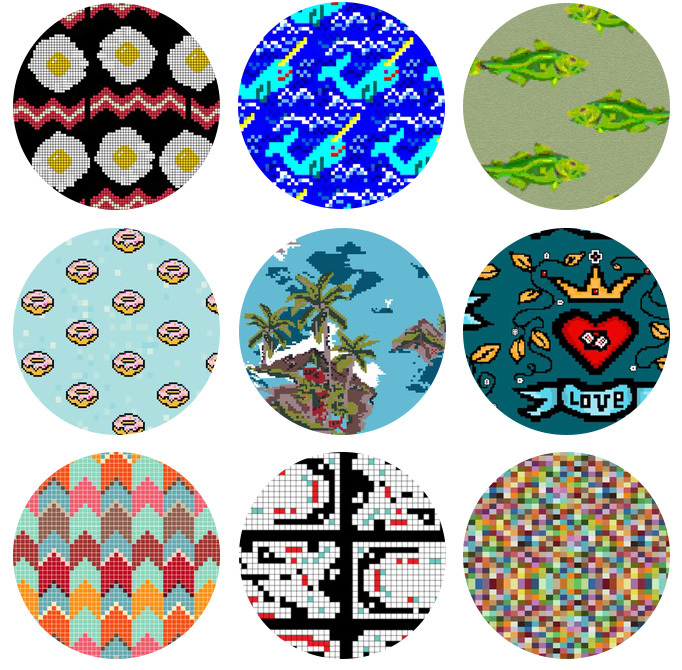 Make sure to vote for your favorite 8-bit inspired entry. Betabrand will choose one of the top ten finalists to produce some really cool apparel for their site! 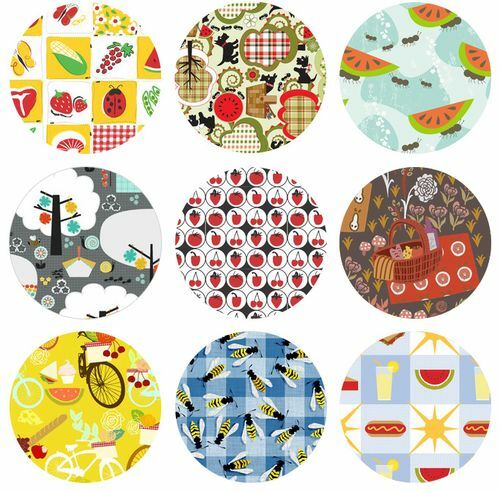 Vote for your Favorite Picnic Design! Summer is a special time for getting together with family and friends. Whether you’re on summer break or just enjoying the weekend sunshine, it’s a special treat to venture outside with your blanket and picnic basket in hand. This week’s designs celebrate the special elements of picnicking: food, nature, and those unexpected guests – bugs!